A contemporary Daughter birthday card decorated with flowers and a personalised rose gold initial of your choice. 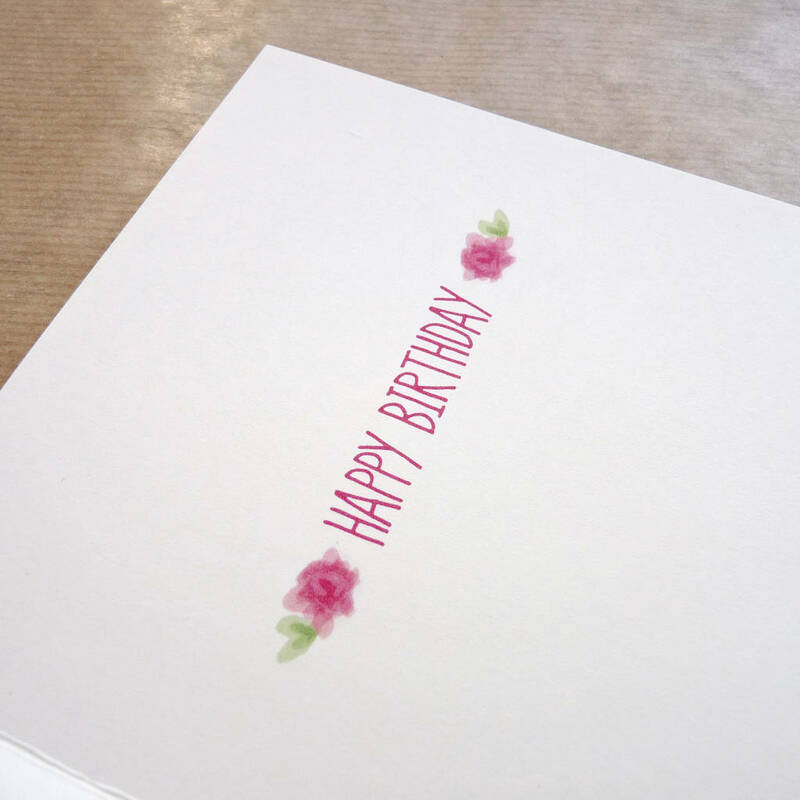 Wish your lovely Daughter a happy birthday with this sweet personalised monogram birthday card. 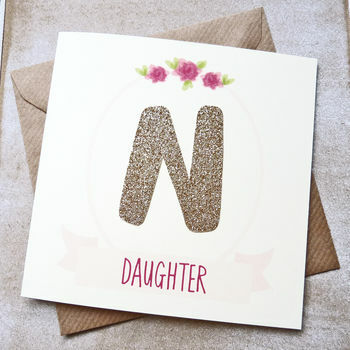 Simply choose the first initial of their name to make their card a little bit extra special, making this a perfect keepsake card to frame after the birthday celebrations are over. 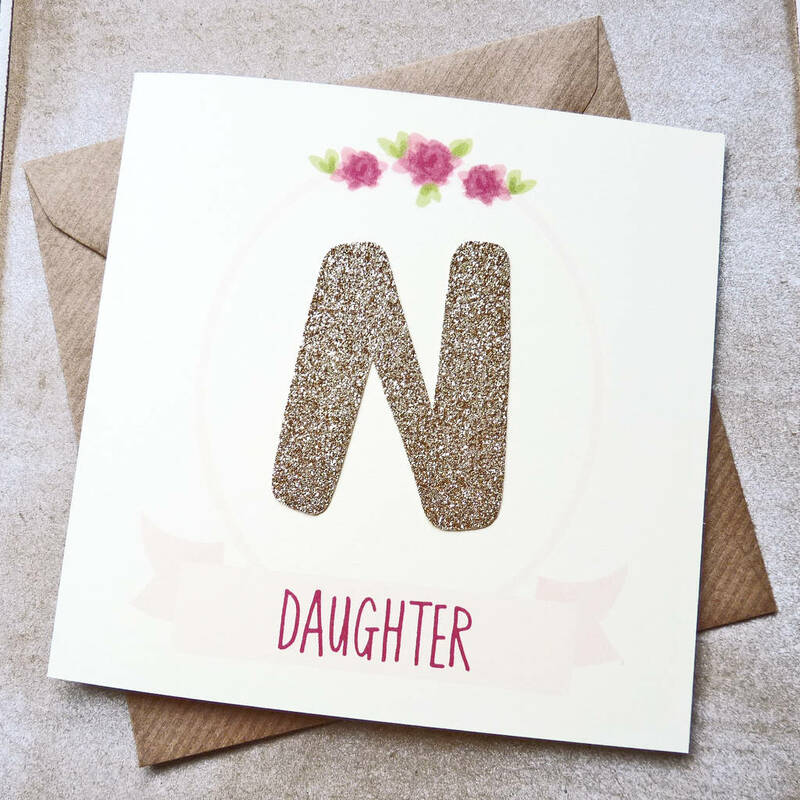 Each hand finished card has a rose gold glitter letter of the alphabet in a light pink bordered oval decorated with pink flowers and a banner with 'Daughter' on the front. The inside reads "Happy Birthday" finished with pink flowers. All of the words are pink, to match the flowers. Also available as a Granddaughter birthday card, simply make your selection when placing your order. 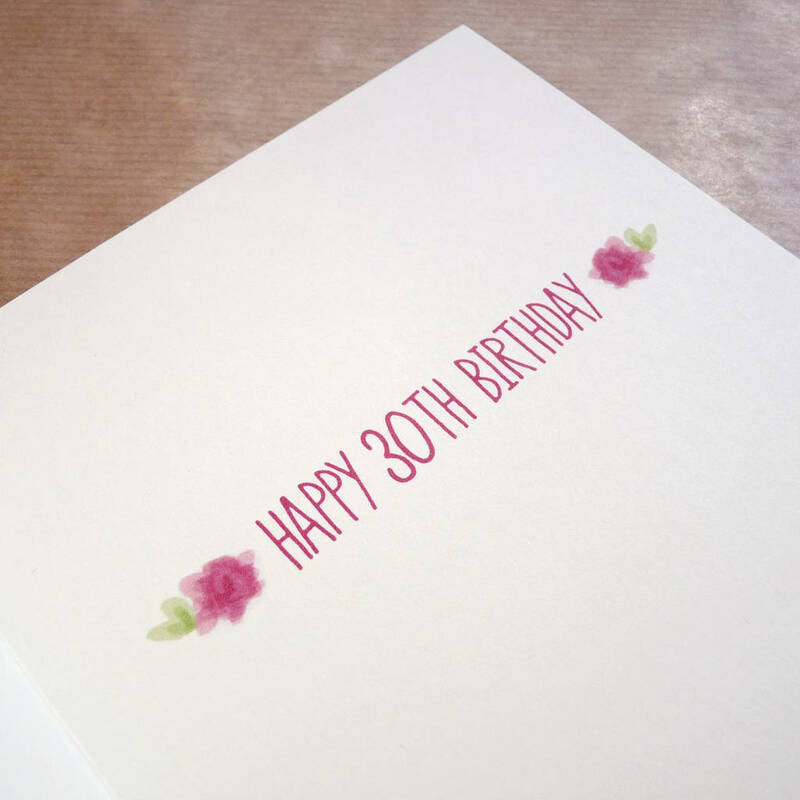 Special age birthday greetings on the inside are also available, if you fancy. Finished with a hand cut rose gold glitter letter of your choice from the in house designed Darcey alphabet. 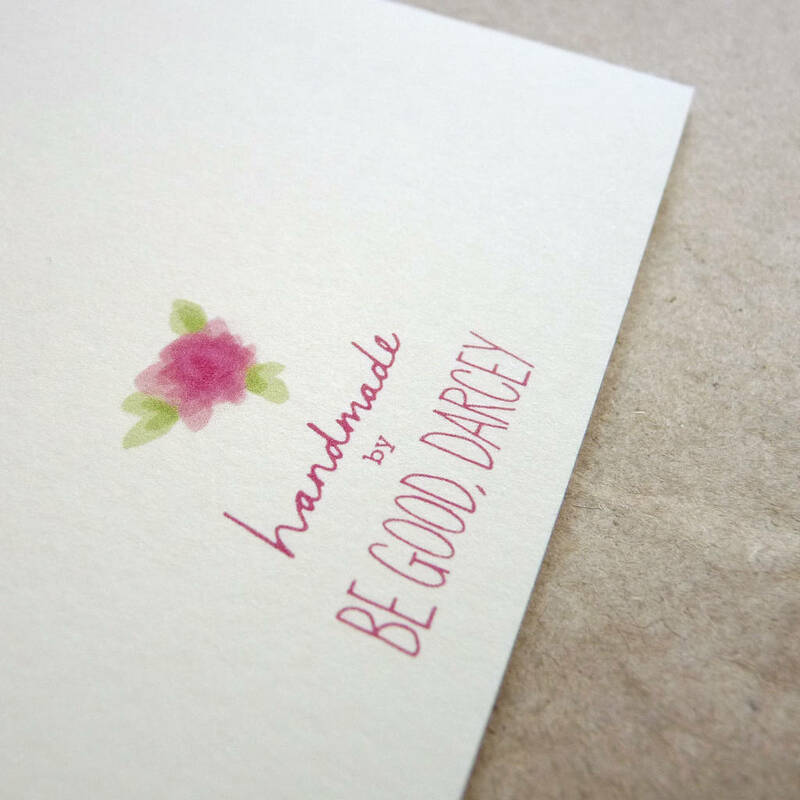 Every card is unique due to its handmade nature.